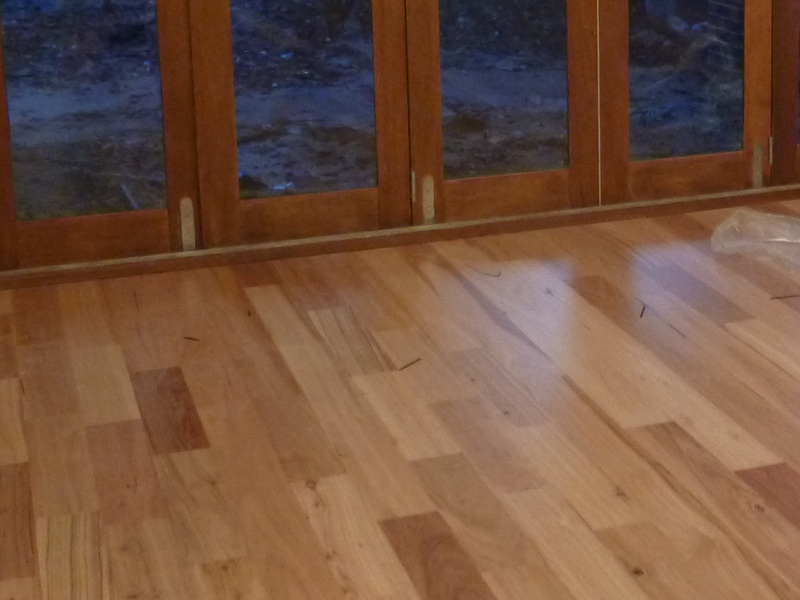 Yesterday saw the remaining of the Timber Floor completed – took 2 days in total to complete. 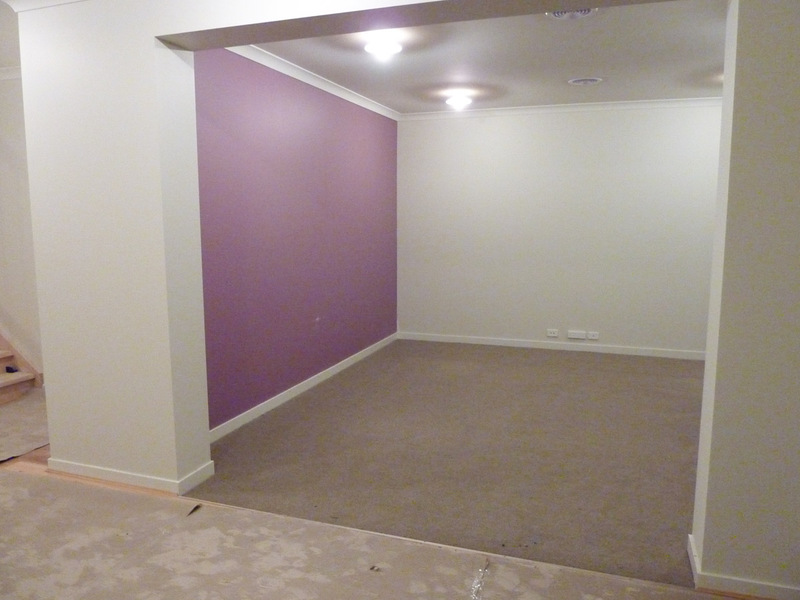 And yesterday the carpet also went in. 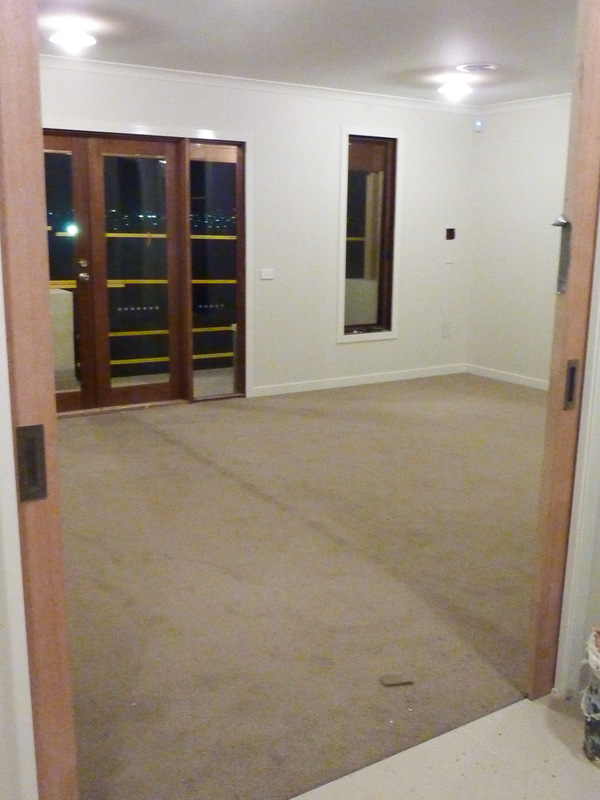 Looks like the flooring is complete, except for a few edgings between the timber floor, tiles and carpet. We are glad the grey concrete which we have been staring at for the last 218 days is now gone. 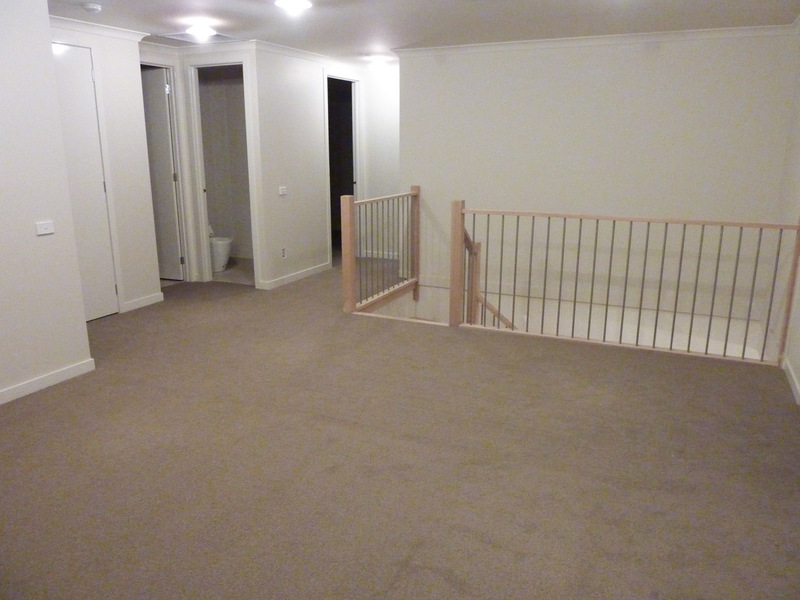 The whole house has that new carpet smell. Today saw the start of the timber floorboards installation. 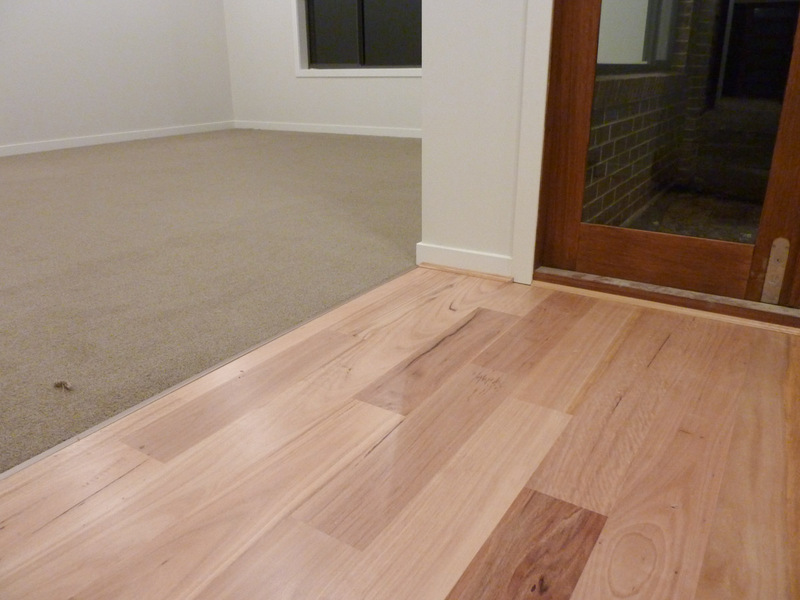 We upgraded the laminated floors included in our promotion to Timber Floors – Boral Blackbutt. 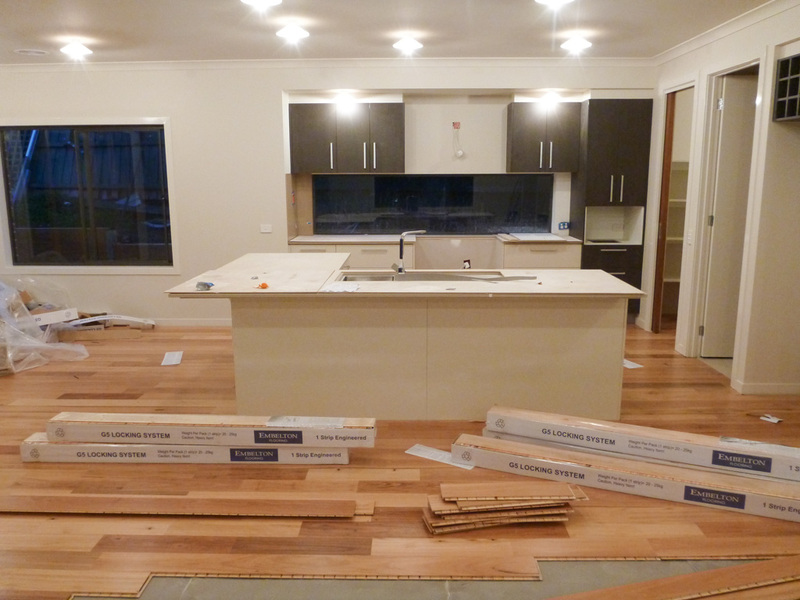 The locations of the timber floor includes Entry (through to Kitchen), Kitchen, Walk-in Pantry, Family room, Dining room and storage under the stairs. 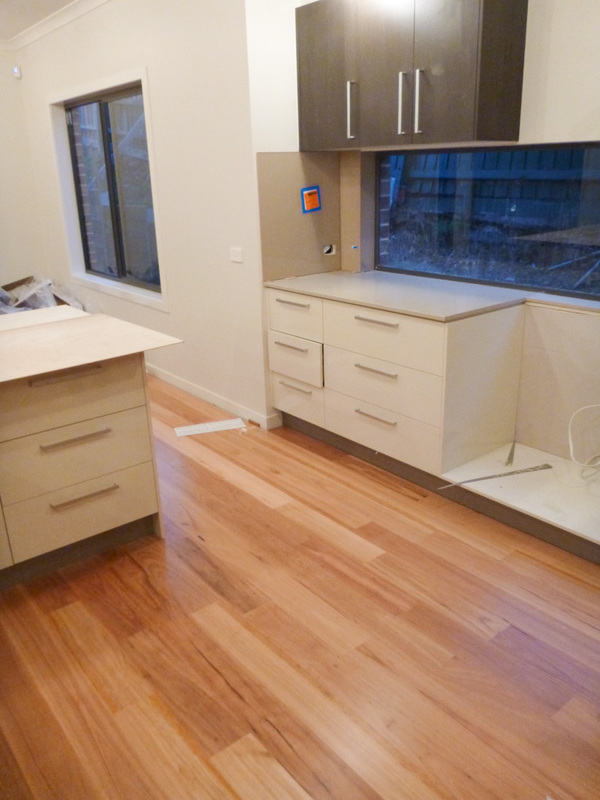 The timber floors are installed over a high density foam, moisture resistant underlay. 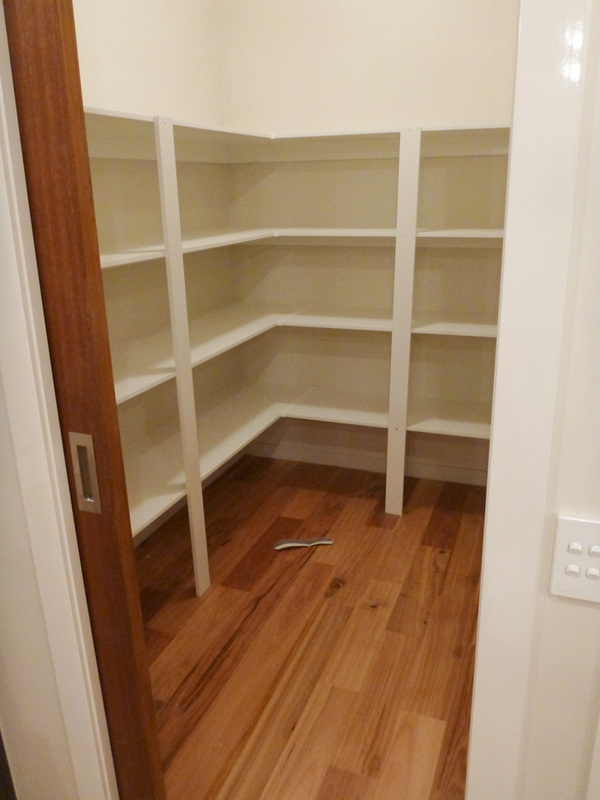 Note – if flooring is included in your purchase as part of a promotion, you should check to see if this includes the storage area under the stairs. Normally this area is NOT included and you will need to add it in. Otherwise when you open the door to under the stairs you will just have concrete which we didn’t think it would look too nice. 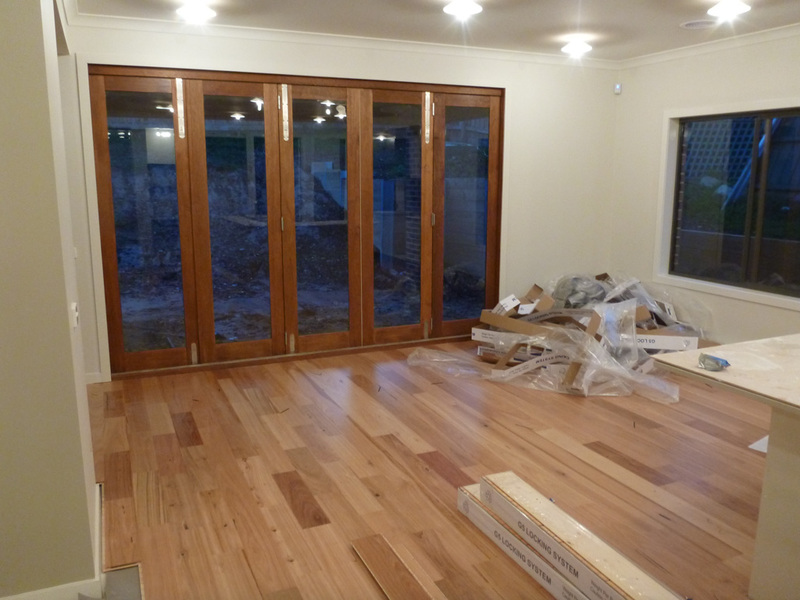 The timber floors really start to transform the look and feel of the rooms – it really brightens up the space compared to the dull concrete. 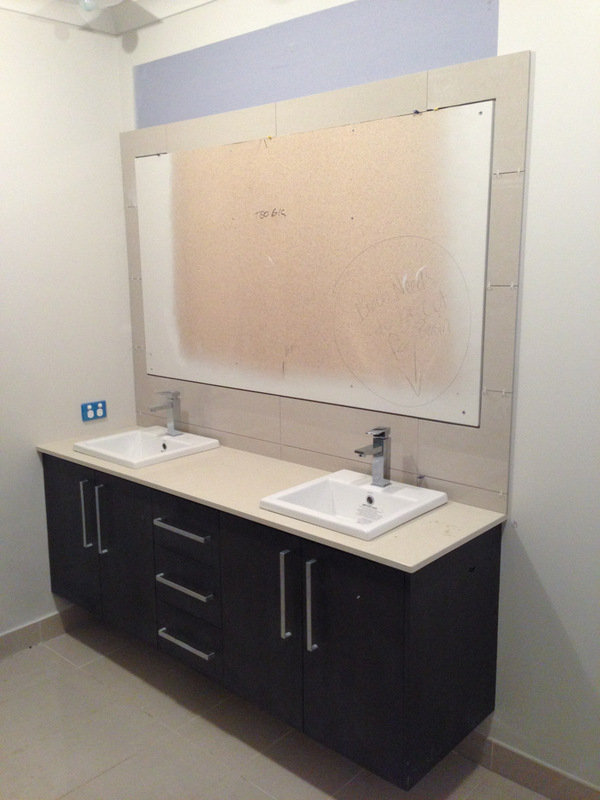 There are a still a few fit off and painting activities to go and we were worried about the floor being damaged. However, looking through the contract we found that there is a “Protective sheeting will be laid over the completed timber floor to provide protection against accidental damage during the final stages of construction. 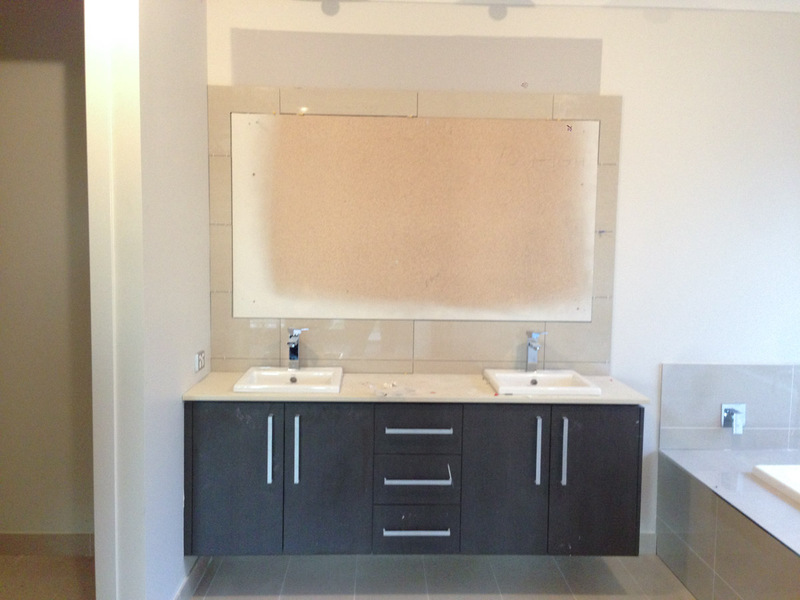 The protective sheeting becomes the responsibility of the client after handover.” This protective sheeting will also be handy when we move our possessions into the house. 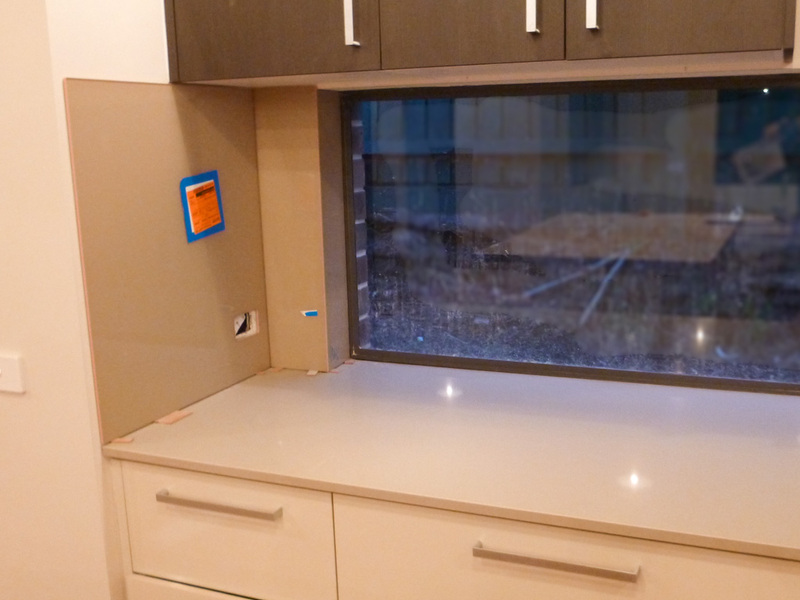 The last week has also seen part of the glass splashback installed in the kitchen. The colour of the splashback took a bit of time for us to warm to – at first we thought it may have been too dark, but over time we think it does go well with the Cesarstone bench. 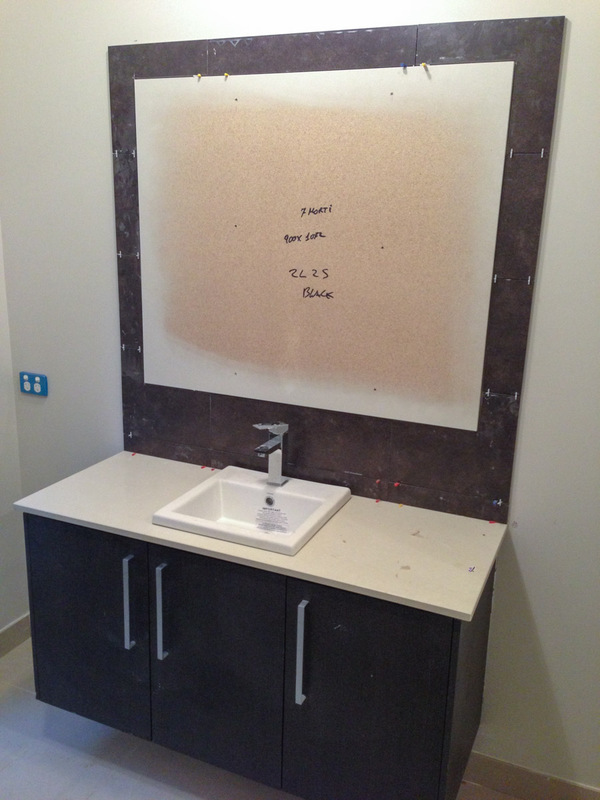 The tiler has been back to tile around the glass backing boards in the powder room, bathroom and ensuite. 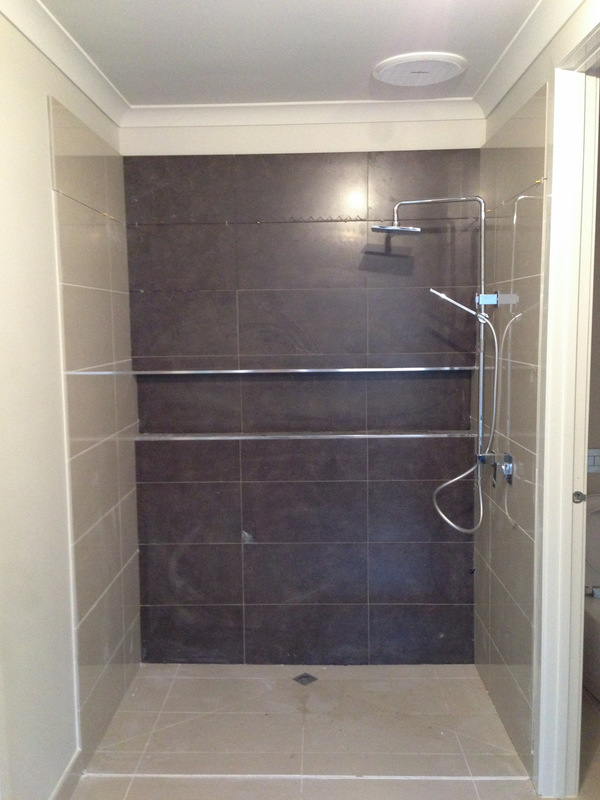 The shower in the ensuite had an extra row of tiles added as the glass frame is higher. 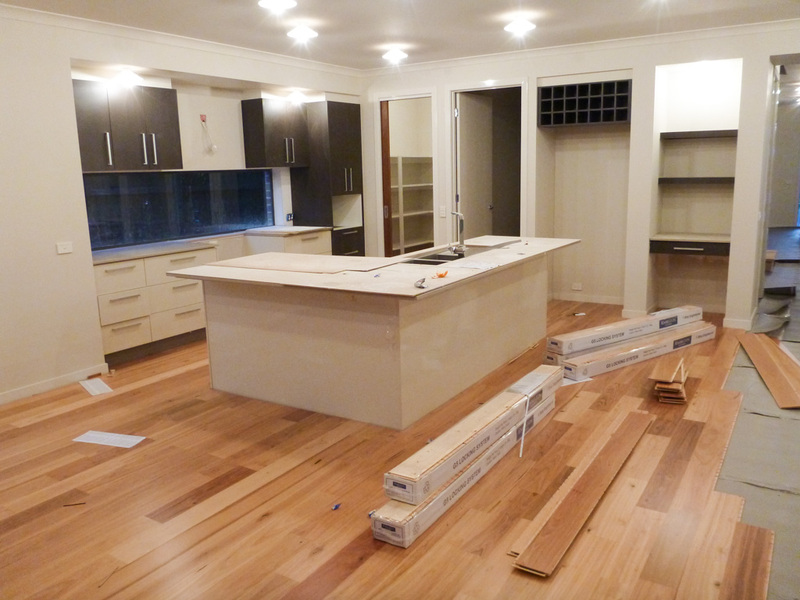 We are looking forward to seeing the remainder of the timber floors installed this week.